President Trump’s assumptions about compensation for the nation’s top military leaders is apparently rooted more in his private sector experience than his knowledge of government pay scales. The Washington Post reported Sunday that White House Chief of Staff John Kelly has been telling others a story of watching television with Trump and asking the president what he thought Gen. Joseph Dunford, chairman of the Joint Chiefs of Staff, drew in salary. 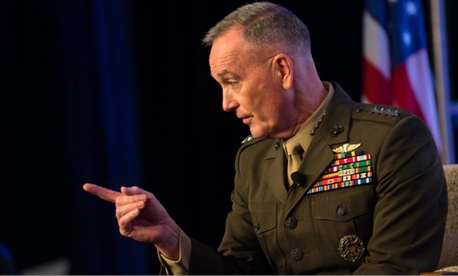 Informed that the Joint Chiefs chairman actually makes less than $200,000 per year, Trump told Kelly that Dunford deserved a raise. That would require a change in federal law, since pay for top military officers is currently limited to rates prescribed in Level II of the Executive Schedule. The president has been donating his own salary in quarterly increments to various federal agencies, so presumably he’s aware that even the commander-in-chief only makes $400,000 a year.